Fixed dental bridges are a painless and functional cosmetic procedure to help fill the empty sockets left behind after losing one or several teeth. After inspecting your teeth and gums and determining that you’re a good candidate for a dental bridge, Dr. Ahmed affixes the bridgework to the teeth on either side of those that are missing. This supports your new porcelain teeth that your dentist cements into place. This type of dental restoration is called a fixed dental bridge because it remains in place and is only removable by a dentist. Before you can receive your new replacement teeth, one of the dentists at Alpha Dental must prepare the surrounding teeth to support it. This involves filing down each of the surrounding teeth so the new dental bridge fits properly. Your dentist removes only a tiny amount of your tooth surface in order to install the dental bridge. Dr. Ahmed may place a dental crown on the supporting teeth if necessary to ensure a secure fit. Next, your dentist takes an impression of your teeth and sends it to our dental laboratory. While you are waiting for your new permanent bridge to arrive, we can fit you for a temporary one if you would like. 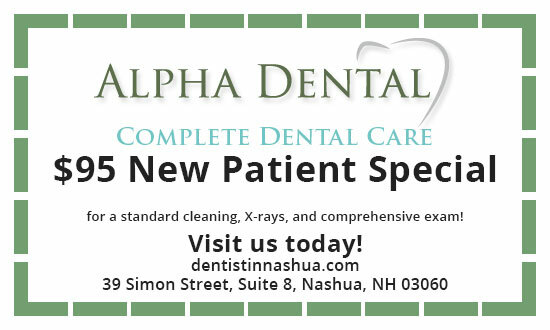 When the new restoration is ready, you need to come back to Alpha Dental for a second appointment. Dr. Ahmed will complete a brief oral examination before cementing your new bridge in place. Once your permanent bridge is installed, we will provide you with follow-up care instructions. It’s important to practice good oral hygiene and not put undue strain on the new bridge so it can last for many years before needing to be replaced. It helps improve the overall integrity of your face while allowing it to maintain its shape. Having a fixed bridge in place prevents your remaining teeth from shifting into the space left open by your missing teeth. Your ability to speak clearly and chew your food thoroughly improves. You brush the fixed dental bridge the same way you do your remaining natural teeth. There is no need to remove it and clean separately. Most insurance companies provide full or partial coverage for fixed dental bridges while benefits for dental implants typically aren’t available. Our dental laboratory can match the color and shade of your replacement tooth to your existing teeth so that the bridge and denture blend in seamlessly. We encourage you to contact Alpha Dental as soon as possible after a tooth extraction or the accidental loss of your tooth to discuss the possibility of a fixed dental bridge. The longer you wait, the higher the likelihood your other teeth will shift and cause alignment and bite problems.